Min. 2 / Max. 7 pers. Medoc means « in the middle of the waters » in old French. Those former marshlands are now famous worldwide for their age-worthy and expensive Cabernet Sauvignon. Visit Smith Haut Lafitte. 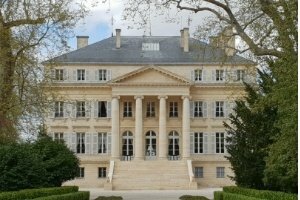 The Classified Chateau, nestled in a 78 hectares vineyard, will unveil for you its 16th century tower, its impressive underground cellars with more than a 1000 barrels and its unique cooperage. The visit will be followed by a tasting of their delicious white and red wines. Visit and Tasting at Château Lamothe Bergeron. Feel the intimacy of a private château which has just been restored. Start the visit in the vineyards, in front of the chateau, tour around the traditional vat room and cellar and finish in the beautiful modern tasting room. Arrive in Saint-Emilion. Check in at the hôtel Logis de la Cadène*. The hôtel is located on a small square in the very centre of the medieval town. With its steep cobbled street, its old golden stone facade and its wisteria arbour, this is a lovely, quiet haven ideal for enjoyment. * Logis de la Cadène is a very charming luxuous guest house with only 3 rooms. Depending on availability. Double Room, breakfast included. With Saint-Emilion, UNESCO registred for the first time a vinyard landscape at the world heritage.Saint-Emilion is a charming medieval village located in the heart of the famous Bordeaux wine area. 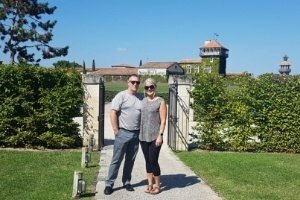 It is a very unique site were world-famous wineries, fine wine, beautiful architecture and great monuments are a perfect match. 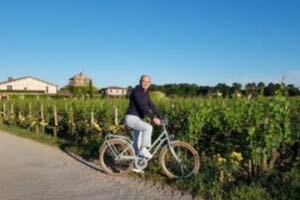 Morning departure to discover Saint-Emilion vineyards. 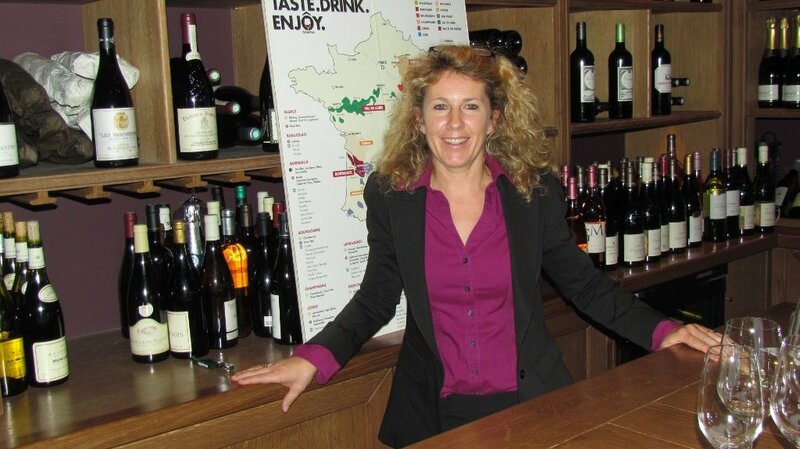 Saint-Emilion produces elegant and supple wines based on the Merlot grape. Lunch at “La Terrasse Rouge”, a very chic bistrot style restaurant overlooking the vineyards. Following spectacular renovation of La Dominique in 2013, the Chateau naturally wanted to associate their wines to the South-Western lifestyle and fine cuisine. Rouge”. The chef closely work with local producers to ensure the freshness of the products to be sure that you will enjoy the true fine taste of the South-West, whether you are sampling market garden vegetables, black truffle from Périgord, Marennes-Oléron oysters or Bazadais beef. Tour of Saint-Emilion Village. 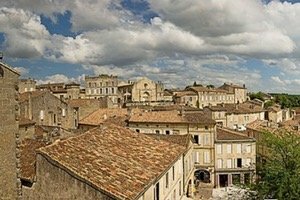 Now world-famous for its wines, Saint-Emilion boasts a very long and rich history from a pilgrimage to a powerful economic town.This guided walking tour will tell you more on the main development stages of the city, from its origins to our times. Wander along the city walls, imagine the monks’ life through the remains of the monasteries and immerse yourself into the secrets of the stone quarries. 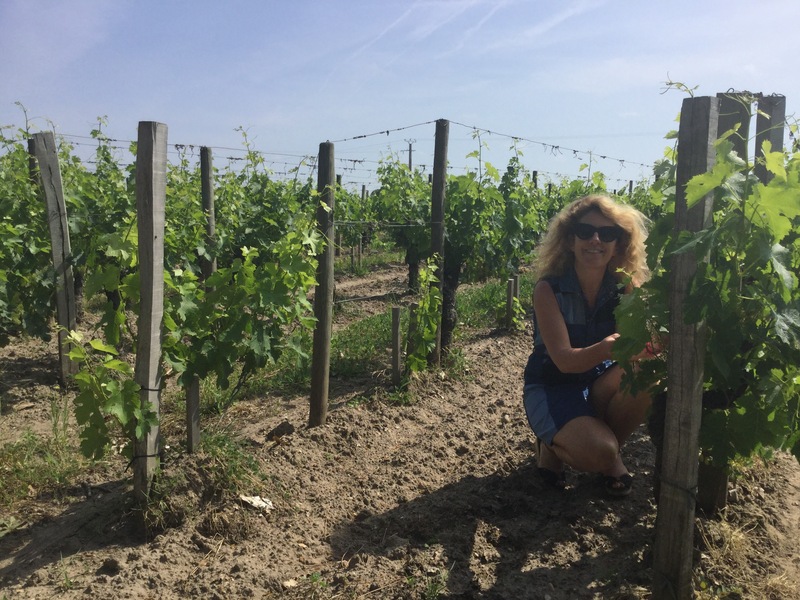 Fabulous Trips to Bordeaux and Champagne! I initially booked the two day trip to Bordeaux in advance of our trip to France. Geraldine responded to my emails promptly and was very professional. Upon meeting her my partner and I found her very personable and knowledgeable. 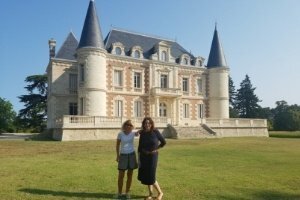 After two fabulous days in Bordeaux with Geraldine we booked a day trip to Champagne with her. We did many tours while in France and by far the best ones were with Geraldine. Definitely the highlight of our trip and an experience we will never forget! Thank you Geraldine! 2 days trip from Paris. (*) Price depending on the number of participants, from 2 to 7 participants. Due to hôtel and train booking fees, there will be a 30% fee incurred if a confirmed tour is cancelled more than 15 days before. 50% between 14 and 4 days before the actual tour date . For cancellations made within 3 days, no refund will be provided.